I loved The Daily Edition co-host Sally Obermeder even more when she admitted what a fellow product lover she is over the phone in Sydney recently. Although she has the clear skin and dazzling smile of a natural beauty, the daytime-TV star loves the super-coverage applied by the industry’s ‘face fairies’ to give definition under harsh on-set lighting. “I’ve come to love make-up so much that sometimes I forget what my naked face looks like!” she admits. We laugh about our drag-queen indulgences, but are here to talk about the lush skin that lies beneath and how she takes care of it off-duty. Obermeder credits her latest skin turnaround to Renu 28, quickly clarifying the difference between ambassador and genuine fan. “I’ve been approached for products before and generally turn them down. I thought, ‘OK, I’ll try it.’ I like that it’s all-natural, lightweight and I’m not changing my entire regimen. 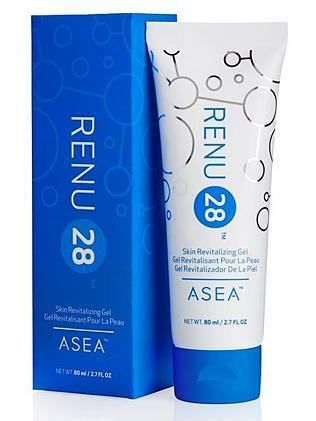 Renu 28 bolsters the body’s supply of redox signalling molecules, which allow the body’s cells to ‘talk’ to each other to repair and maintain skin elasticity. The optimum renewal cycle takes 28 days, but age and modern toxins can slow it to 40. “You know when you’ve been on holidays by the pool, looking after yourself, eating well, sleeping 10 hours a day?” asks Obermeder. “I knew the product was working because everyone asked, ‘You look really well; where have you been?’ I call it ‘the holiday glow’. I’ve got normal skin – neither oily nor dry – fine lines because I’m 41 and am prone to dark circles. Obermeder says she wouldn’t work with a product that didn’t offer results, agreeing that health and beauty are intertwined, and supports her regimen with a largely alkaline diet that is impeccable skinfood. “It’s very much inside out, you know? I am a big green-smoothie person. Every single day I will chug down a litre for my hair, skin and nails.” (Note to self: buy kale.) Her diet may be saintly, but Obermeder has a devil of a good time when she dips into her beauty bag. “I love a strong lip and if you learn how to put a strip lash on, my god! You can shortcut your way through everything. MAC Woodwinked is my favourite eye shadow; the shimmer lightens the eye. And YSL does amazing sparkling pale glosses [Gloss Volupté in Gold]. As the beauty industry turns its focus to Breast Cancer Awareness Month, Obermeder’s own journey as a breast-cancer survivor gives her a deeper understanding of the human stories behind the Pink Ribbon products: “You feel very touched if you’ve been through it.” Emphasising the link between Pink Ribbon and saving lives, she says: “The money raised has led to leaps and bounds in research and treatment.” And it’s her own profound leap to a happy, healthy family life that gives her own radiance such resonance and poignancy for other women.